A growing housing affordability crisis in cities across the country is spurring new community-based movements that work to protect the rights of tenants. 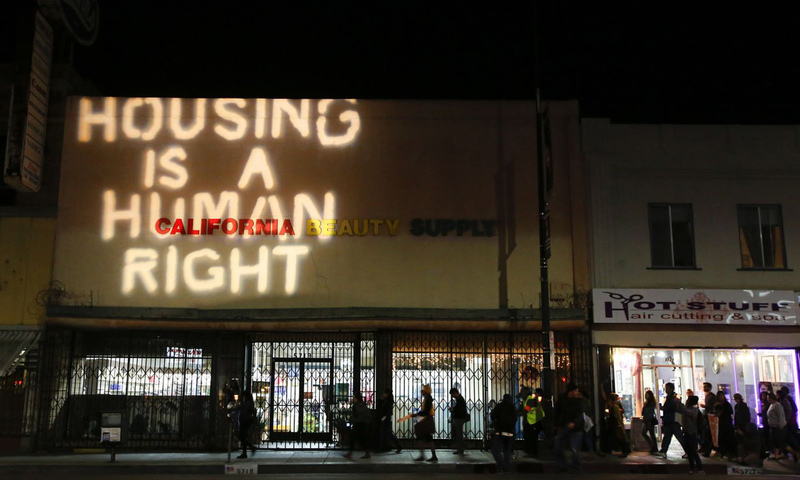 In Los Angeles, tenant advocates forced a housing initiative to be placed on the November ballot that would allow for the expansion of current rent control laws. Others are not so patient. In one Central Los Angeles neighborhood, two hundred families in three separate buildings banded together and refused to pay rent until their demands are met. They decried stiff rent increases while they continued to live in the poorly maintained buildings. The Los Angeles Tenants Union, composed of volunteer organizers and a legal entity known as the Eviction Defense Network, assists the residents in their fight to win concessions from the landlord. In Colorado, the state legislature has even considered formalizing the rent strike process. Rent strikes, however, have had mixed results. In 2016, tenants in the Highland Park neighborhood of Los Angeles lost a court battle after a lengthy strike that resulted in mass evictions and redevelopment of the area. It’s also not easy to find new housing with an eviction on your record and petty landlords often make life painful by turning off the hot water and electricity. Developers argue that limiting the ability of landlords to charge market rents only leads to less housing being built and furthering the housing crisis. Some cities like San Fransisco, Los Angeles, and New York are providing free legal representation for tenants facing eviction. Cities have found that it is cheaper to offer free legal fees to tenants than to provide additional shelters for the newly homeless.